Stanley Kubrick’s 2001: A Space Odyssey was released in American theaters 50 years ago this week, blowing the minds of a generation primed for its heady themes and psychedelic visuals and changing sci-fi filmmaking forever. The best way to see this seminal masterwork has always been on the big screen in cosmic 70mm—we’ve seen it at the Music Box Theatre here in Chicago, and it’s incredible—and now cinephiles across the U.S. will have the chance to experience it in 70mm as well. 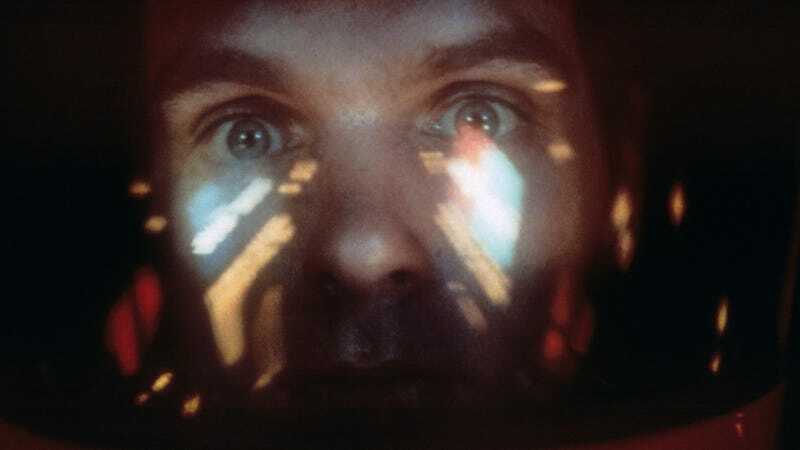 Last week, Warner Bros announced that it has struck a new, “unrestored” 70mm print of 2001: A Space Odyssey from the original camera negative: “This is a true photochemical film recreation. There are no digital tricks, remastered effects, or revisionist edits,” the studio writes in a press release. The print will make its debut at this year’s Cannes Film Festival, where it will be introduced by director Christopher Nolan, a stalwart champion of 70mm who released Dunkirk in the format last summer. That screening is set to take place on May 12 in France, with 2001: A Space Odyssey debuting in select U.S. theaters on May 18. The Music Box, which owns its own 70mm print of the film, will be playing it for 11 days straight. A home video release is also being planned for later this year. Check your local arthouse theater listings (or whichever theater in your area got a refurbished projector from Warner Bros. for The Hateful Eight’s 70mm roadshow) for more.